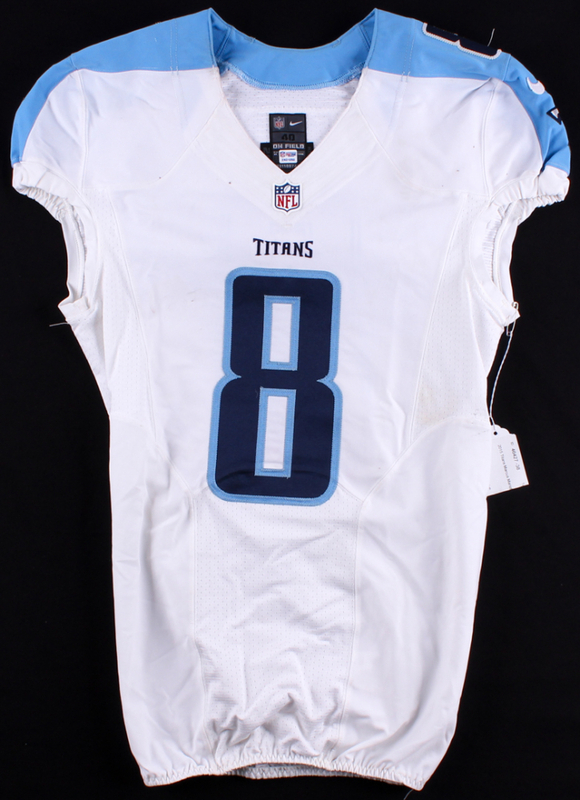 Nike on-field style jersey. Everything is sewn on, size 40 (+2 Length). 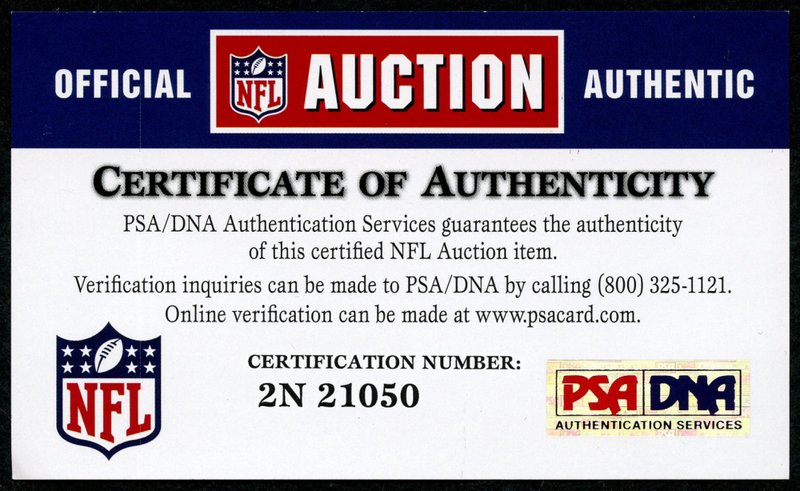 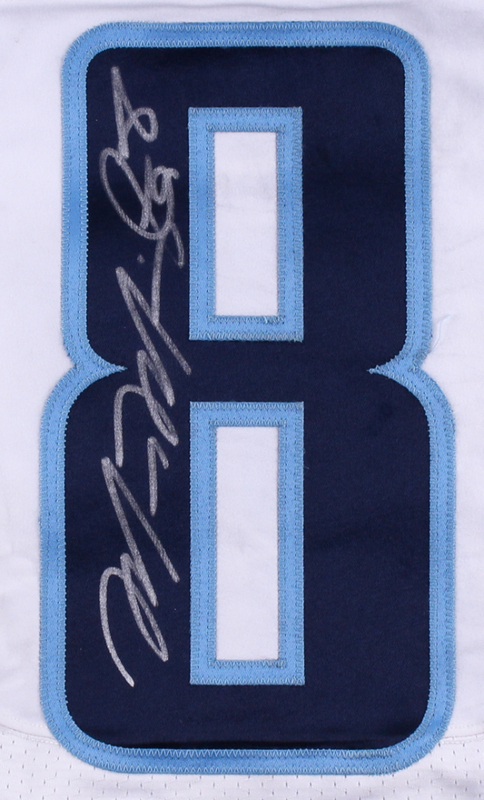 Hand-signed in silver paint pen by Marcus Mariota. 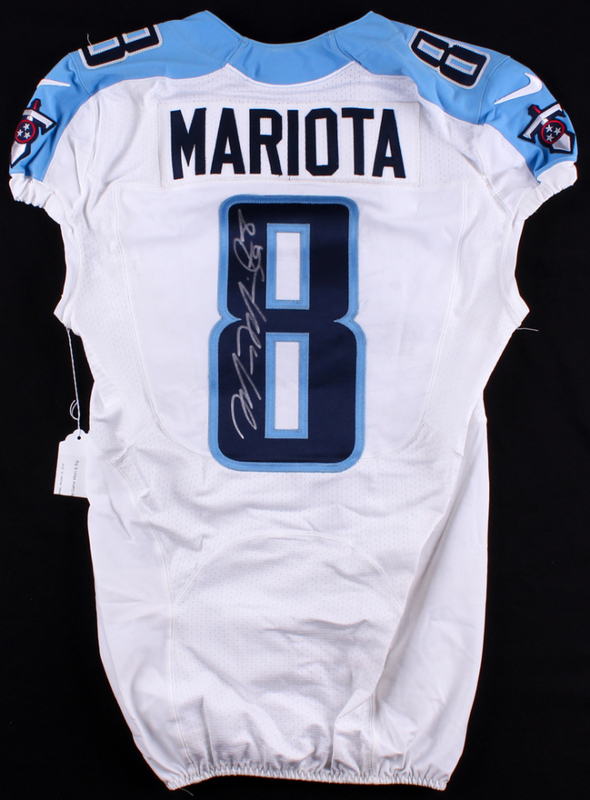 The jersey has been game-used in the November 8, 2015 Tennessee Titans vs. New Orleans Saints game where Mariota became the first rookie to pass for 371 yards, 4 touchdowns, and 0 interceptions in a game.